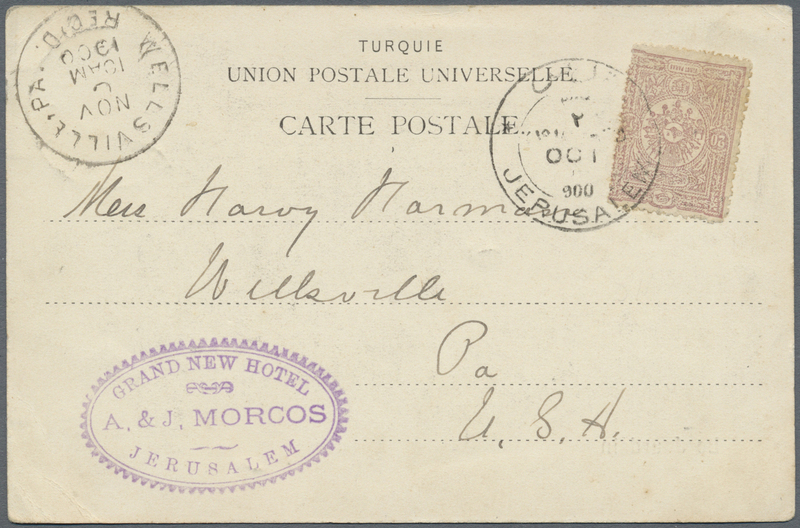 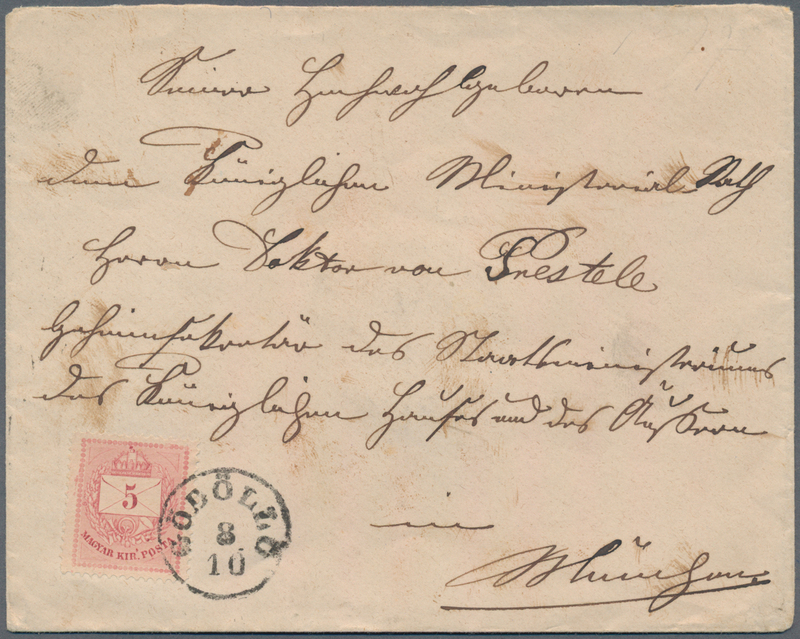 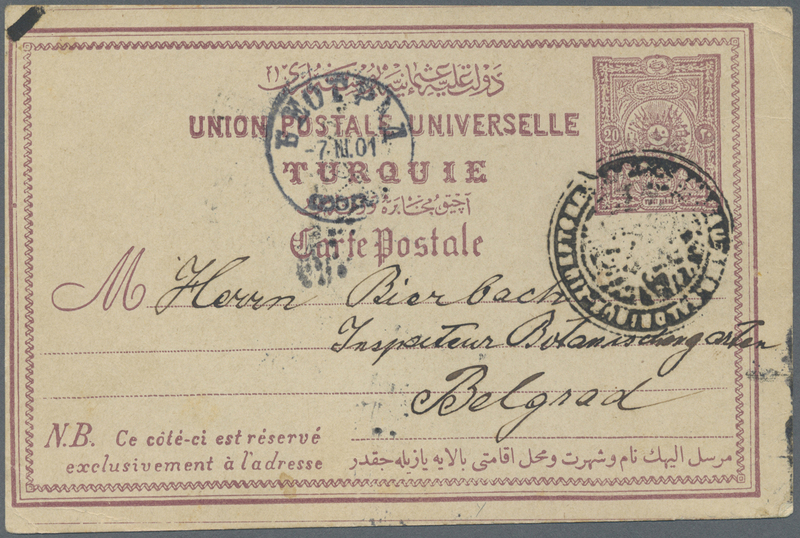 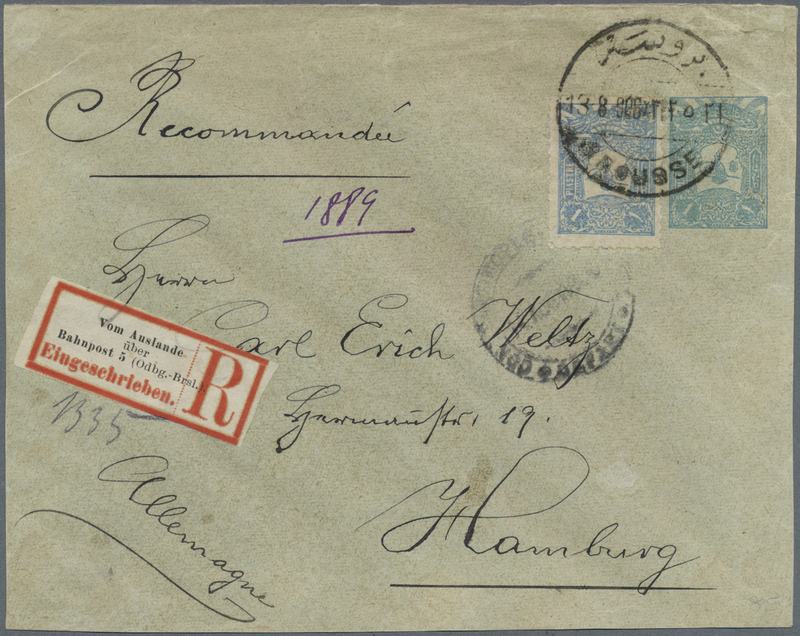 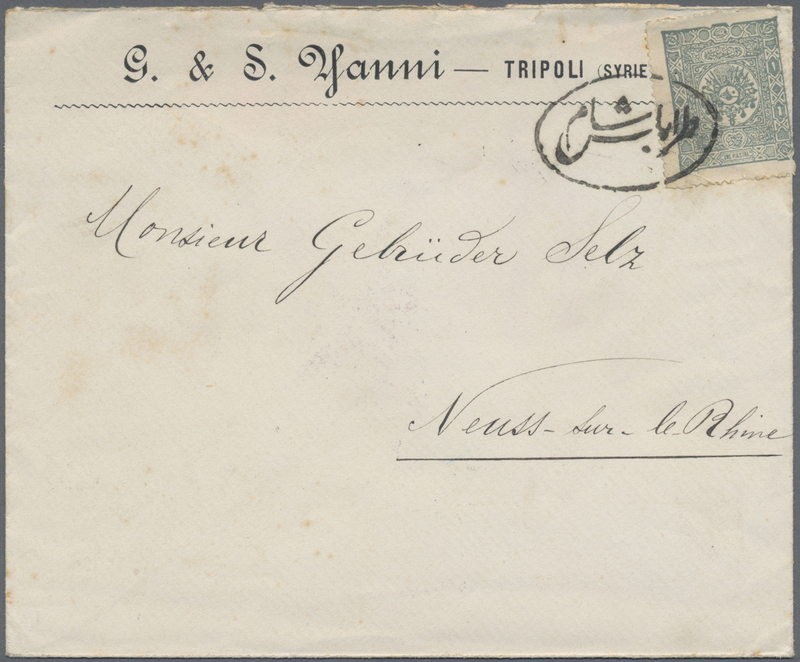 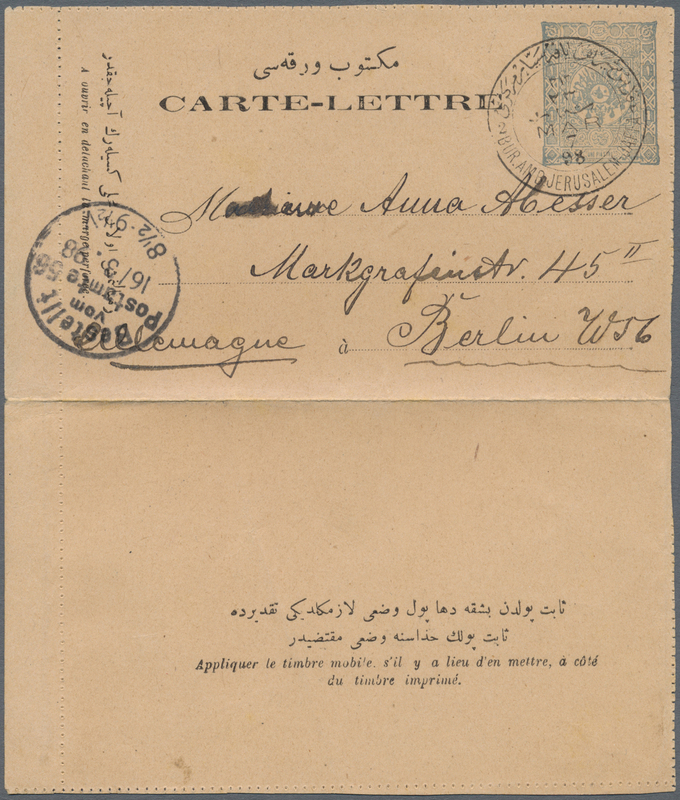 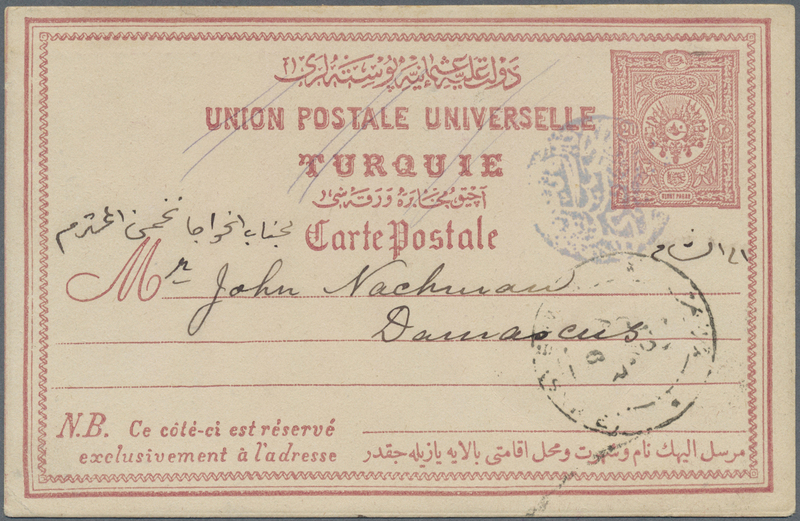 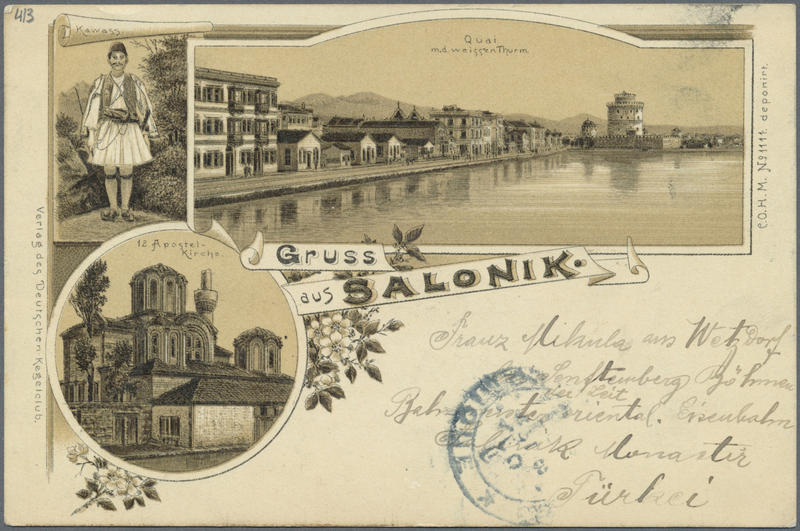 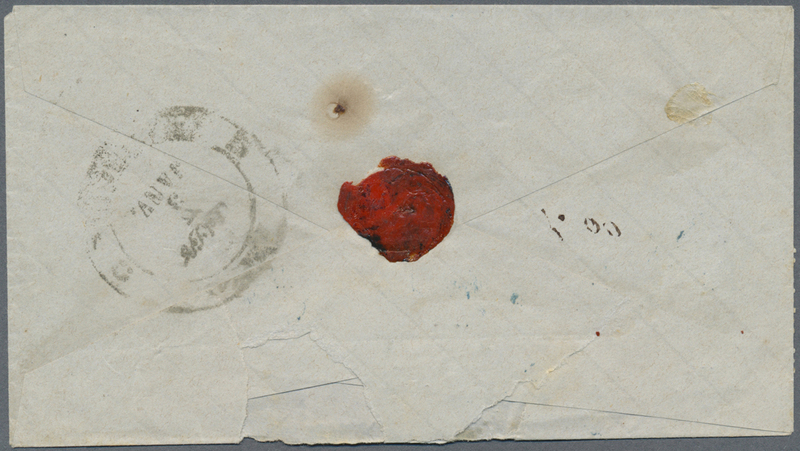 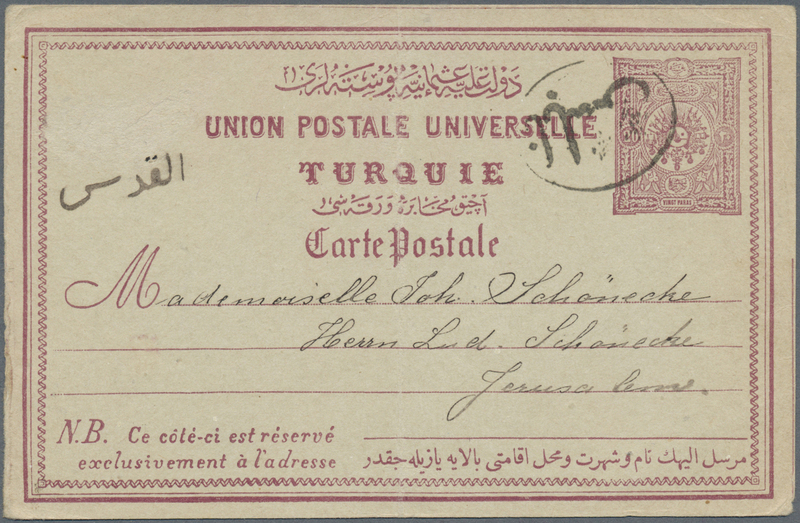 20706 Brief (cover) 1897 "TRABLUS SAM" (Isfila #6 RR) postmark of TRIPOLI SYRIA on cover franked with Turkey 1 Piaster to Neuss with arrival backstamp (18.2.97). 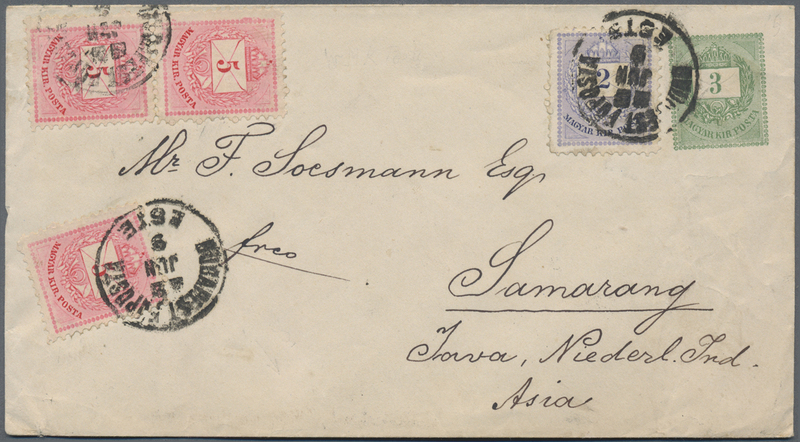 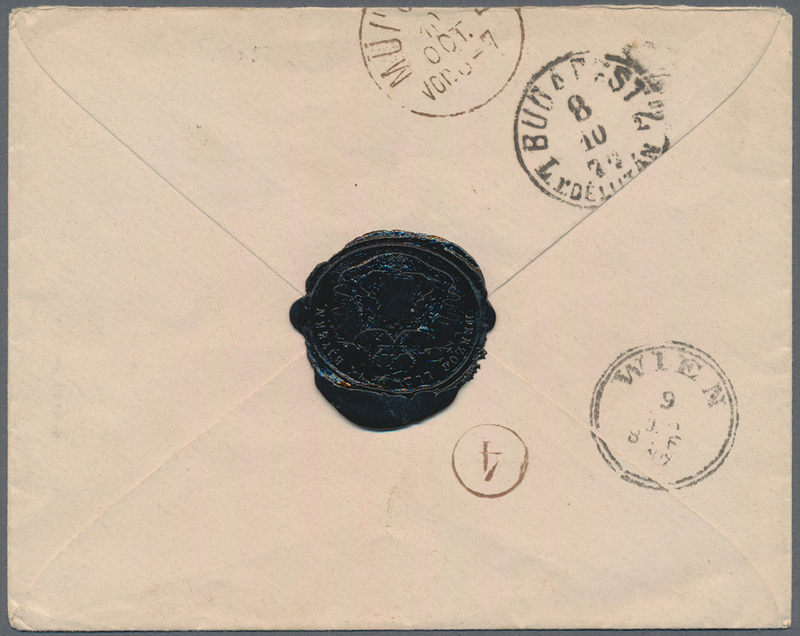 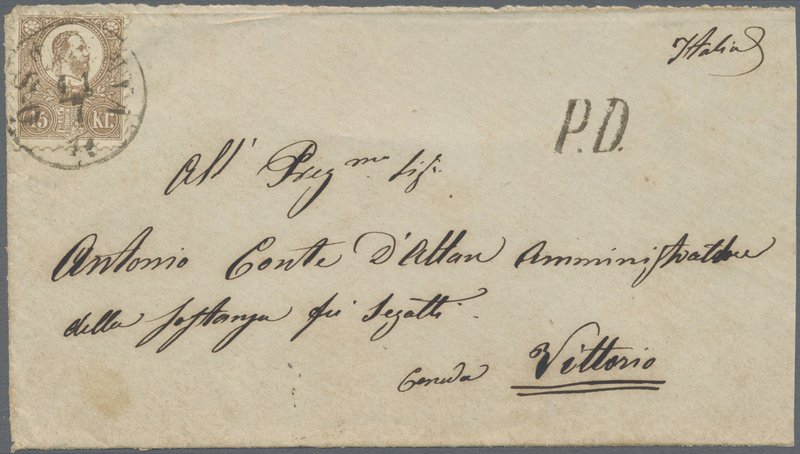 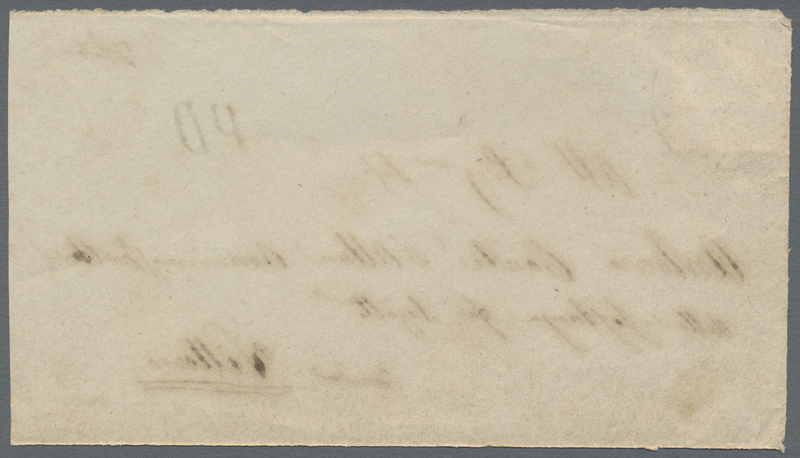 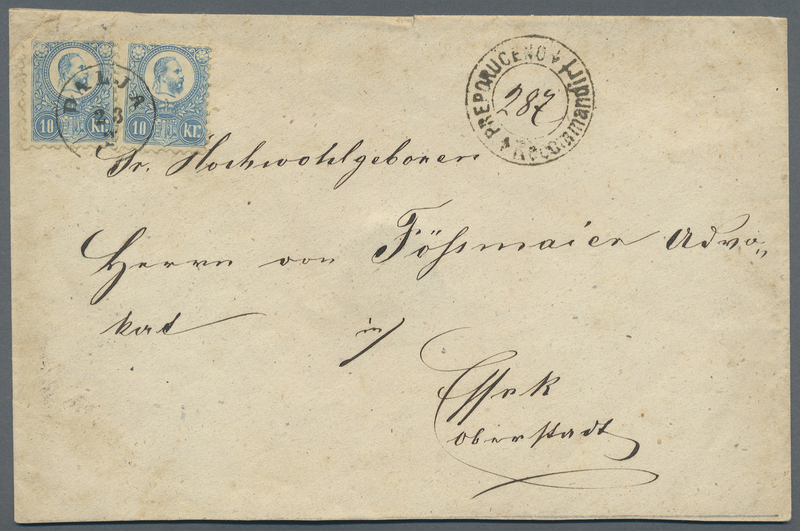 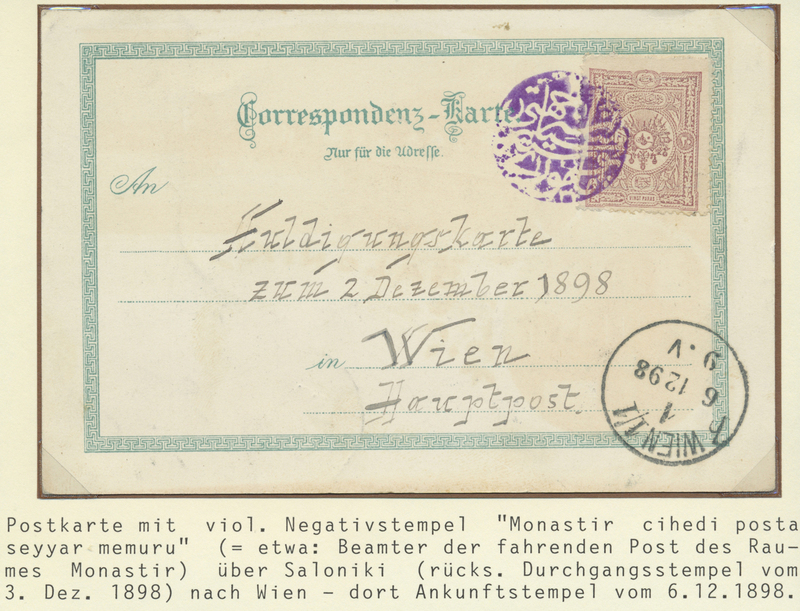 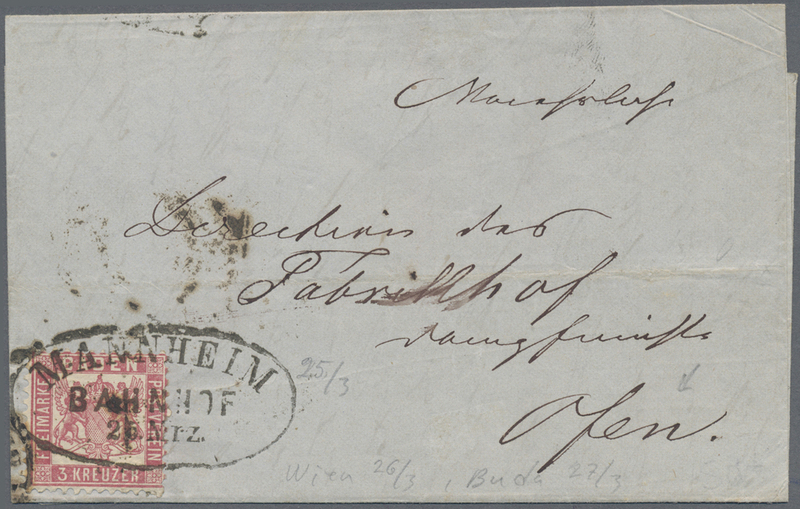 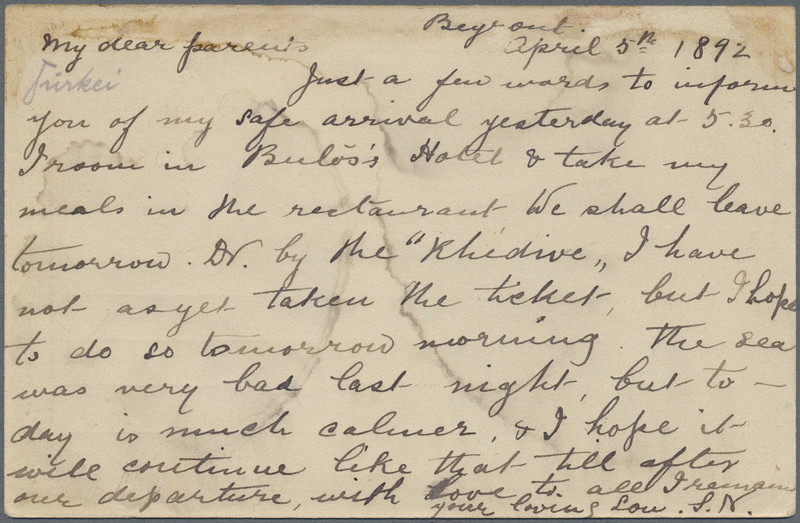 EXTREMELY FINE: ONE OF THE FINEST KNOWN COVERS OF THIS RARE POSTMARK. 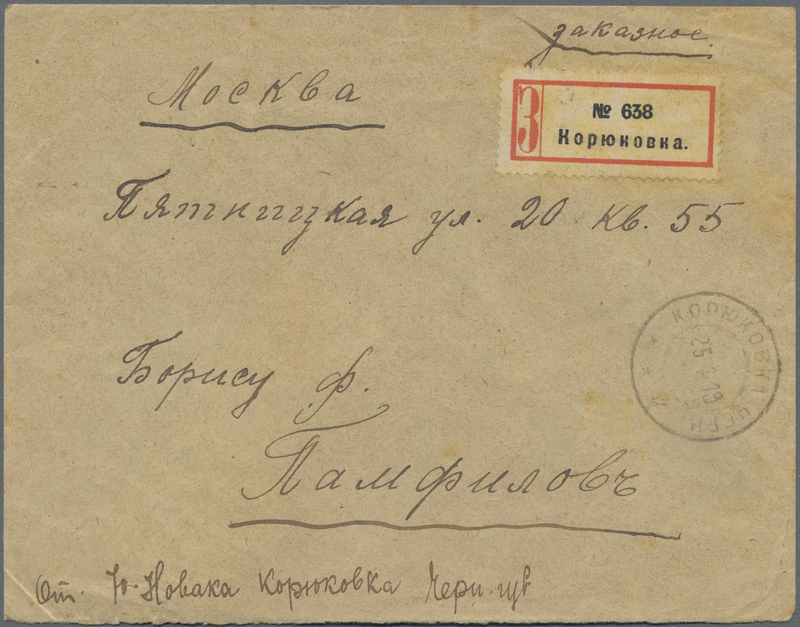 20708 Brief (cover) 28 (25) 1918, 20 K on 14 K blue/rose with "Trident" overprint, block of 25 stamps, multiple mass franking on registered cover from TIRASPOL, 31.10.18, addressed to Odessa. 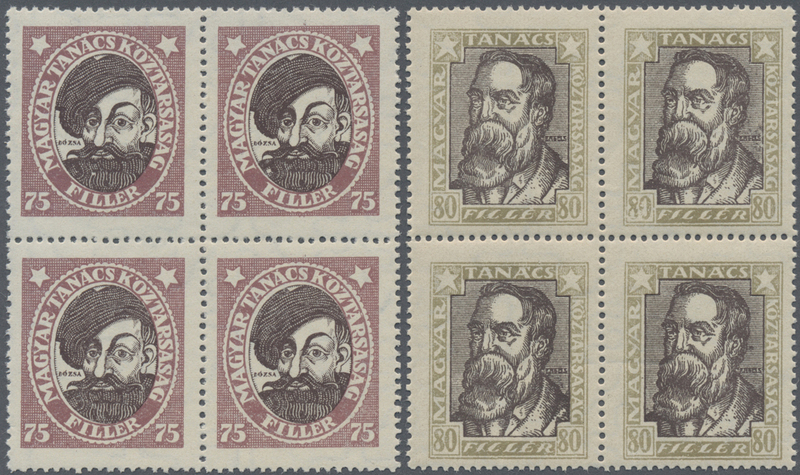 F/VF condition. 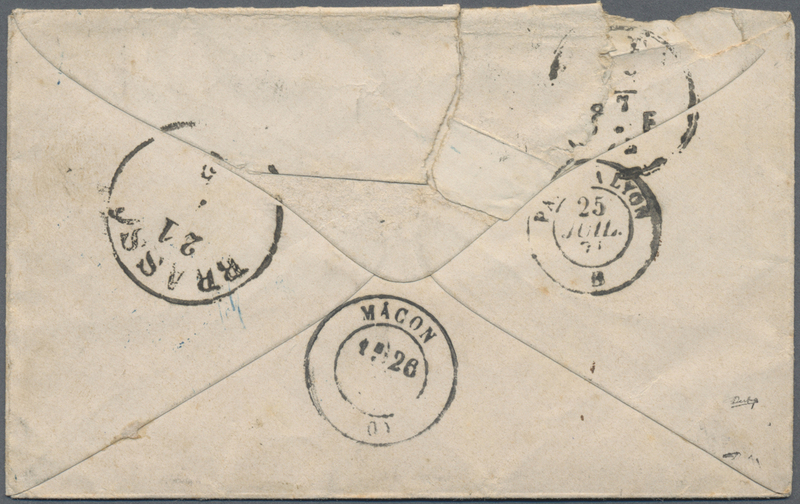 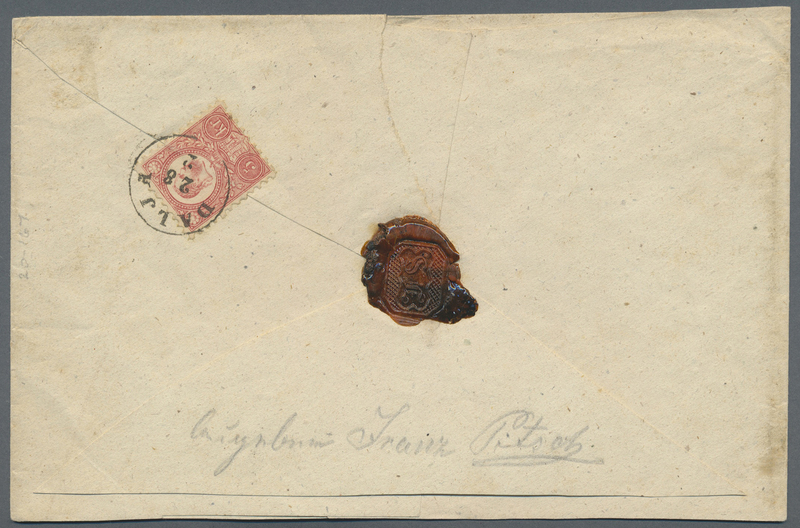 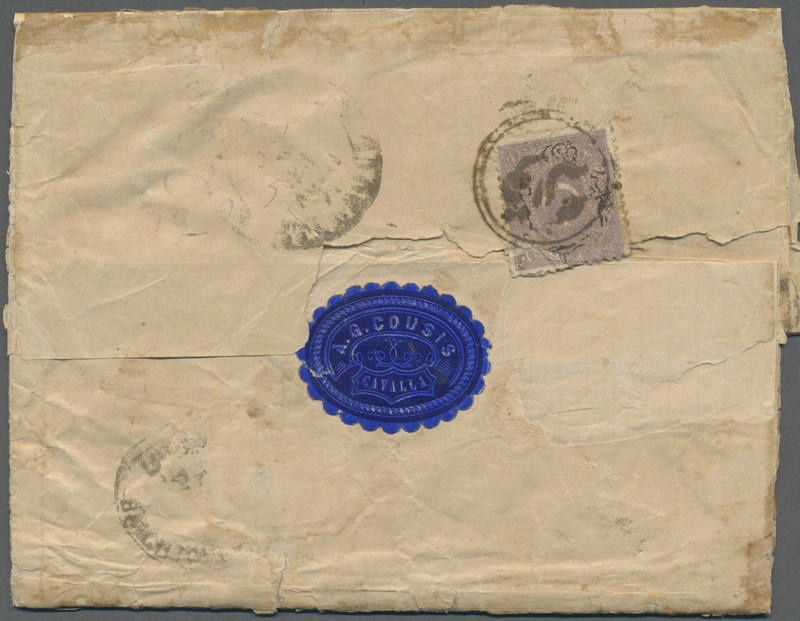 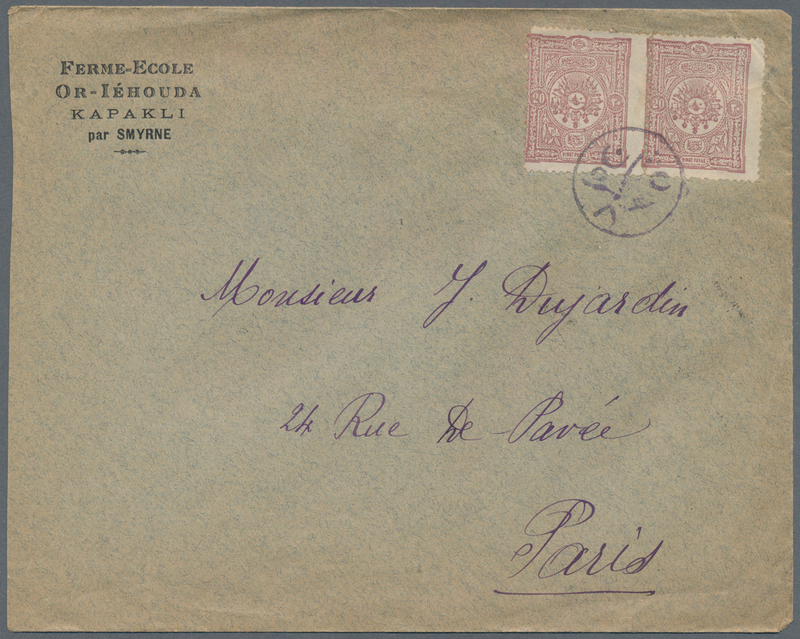 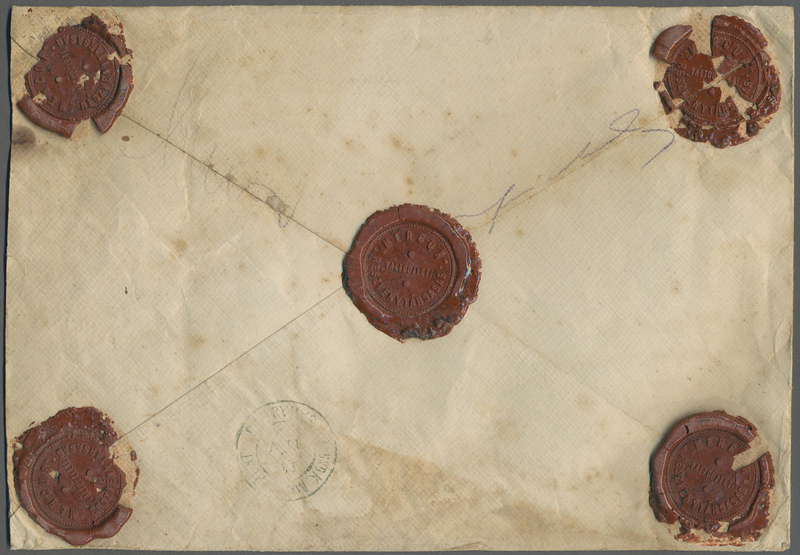 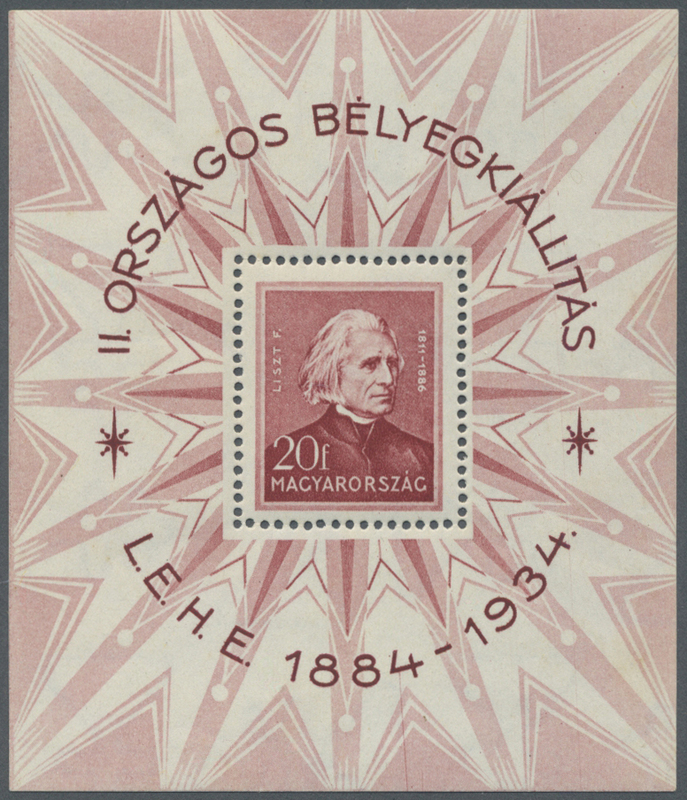 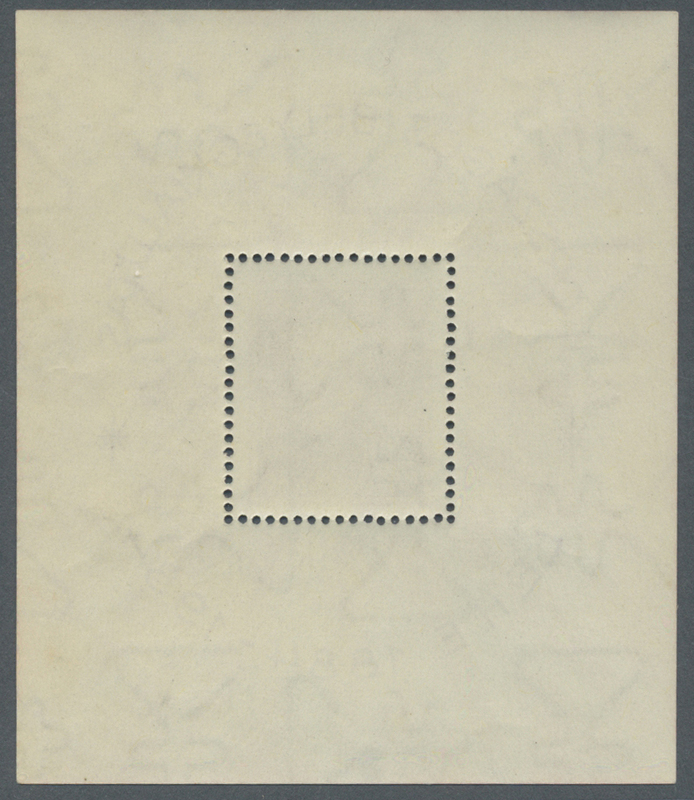 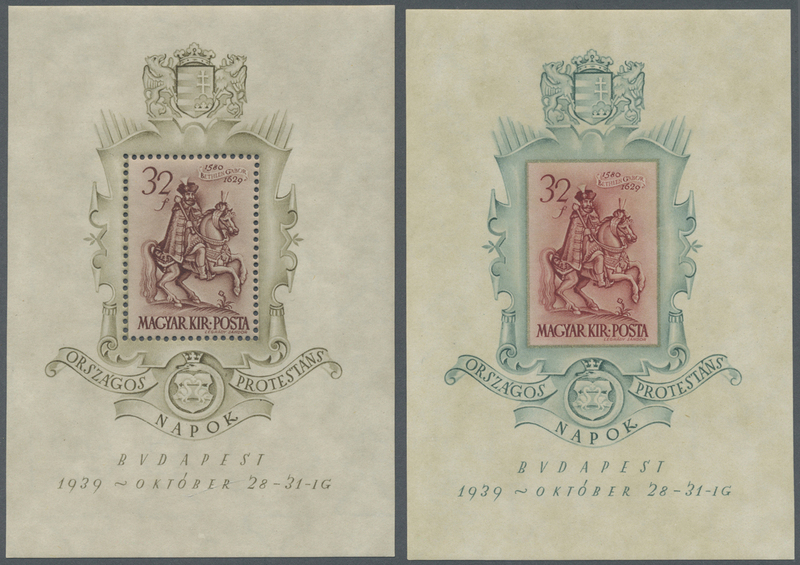 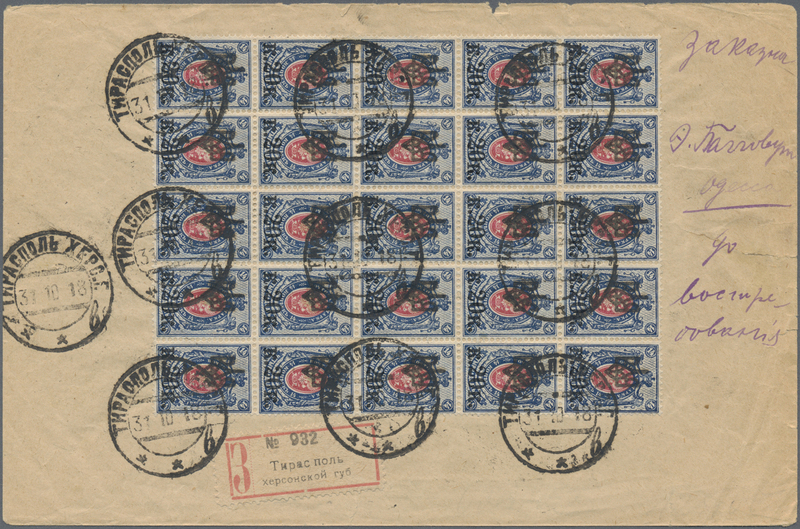 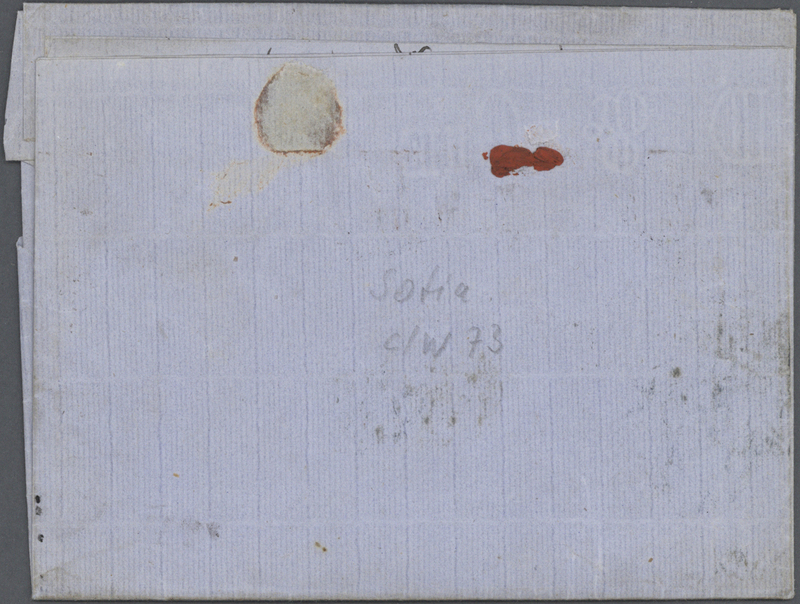 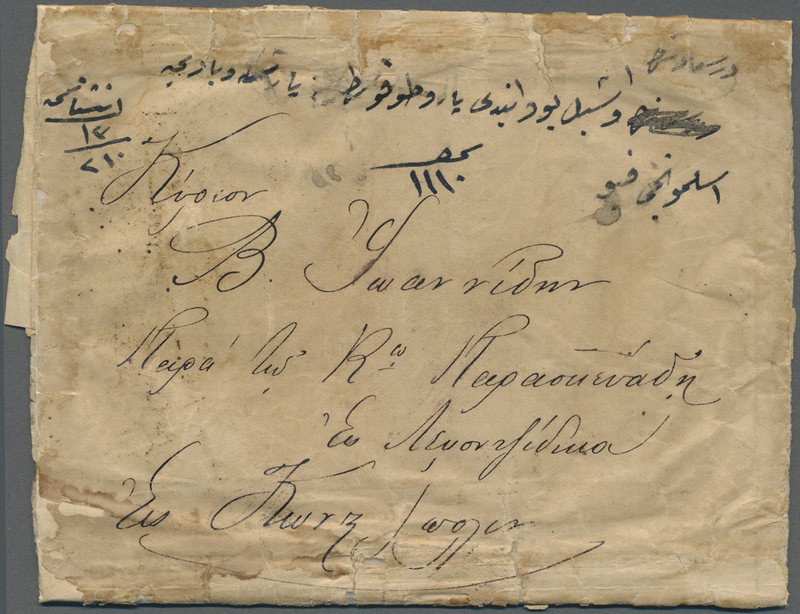 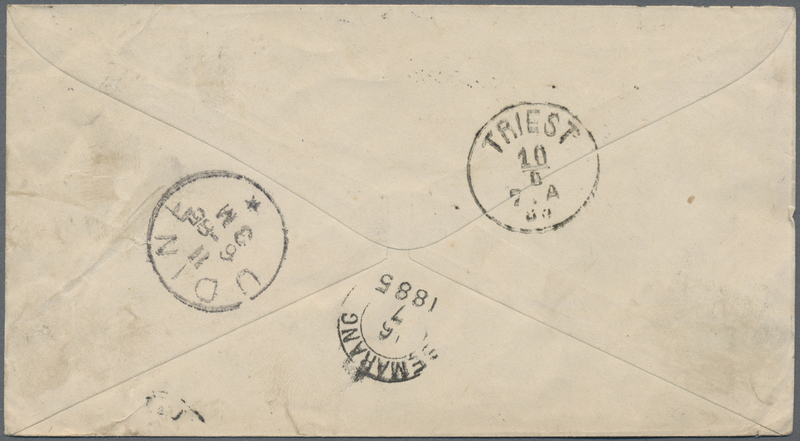 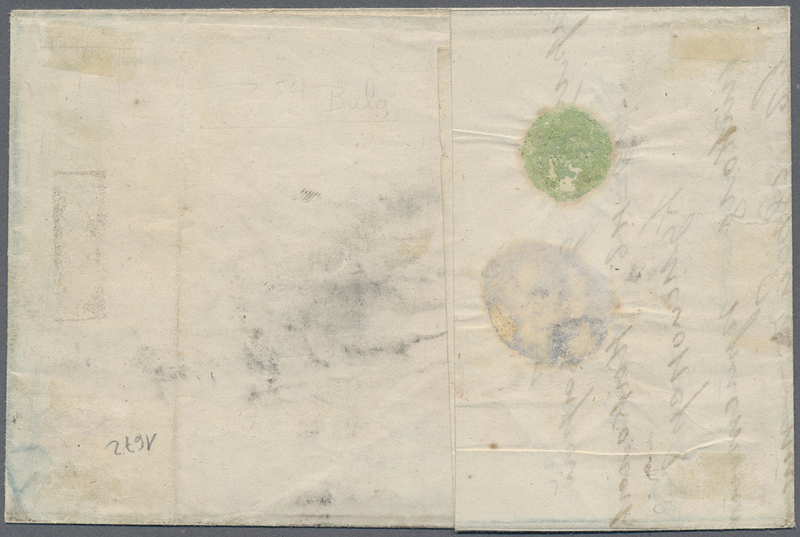 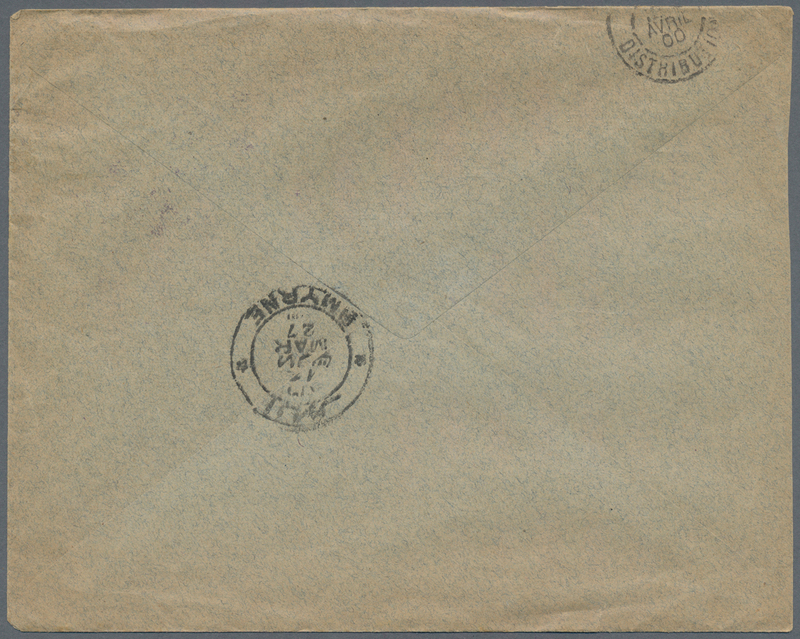 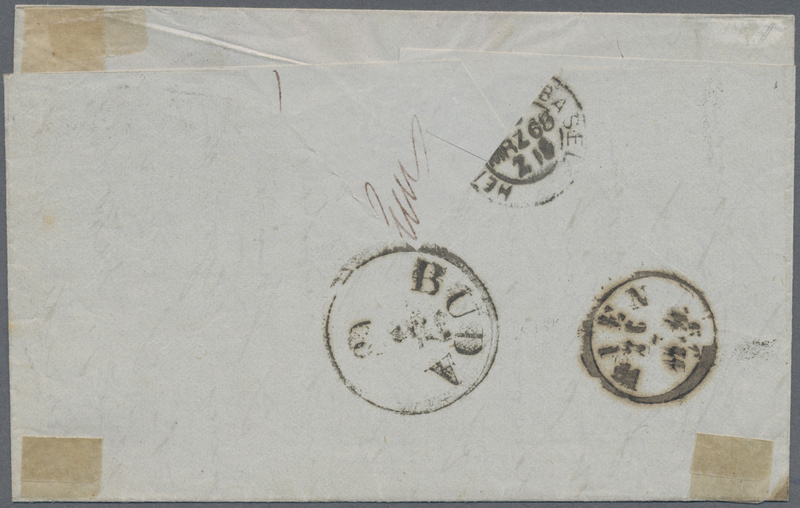 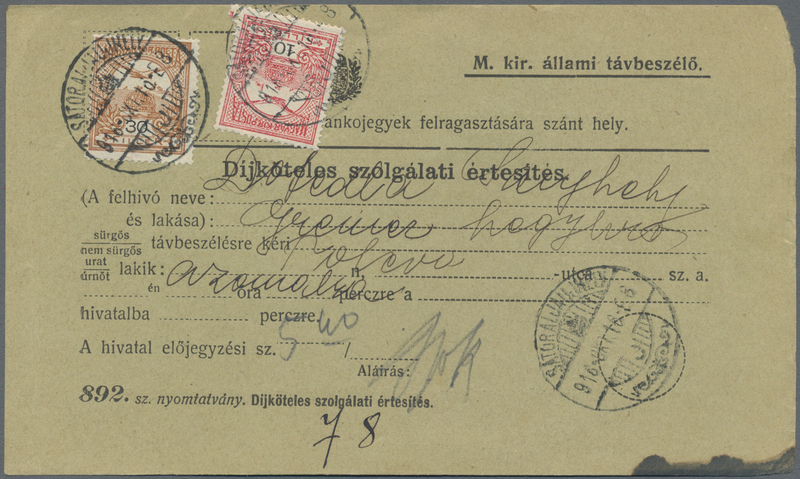 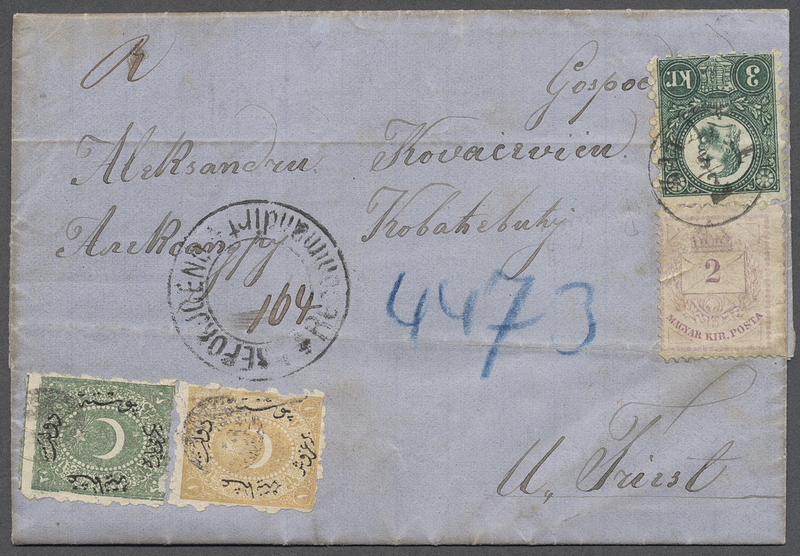 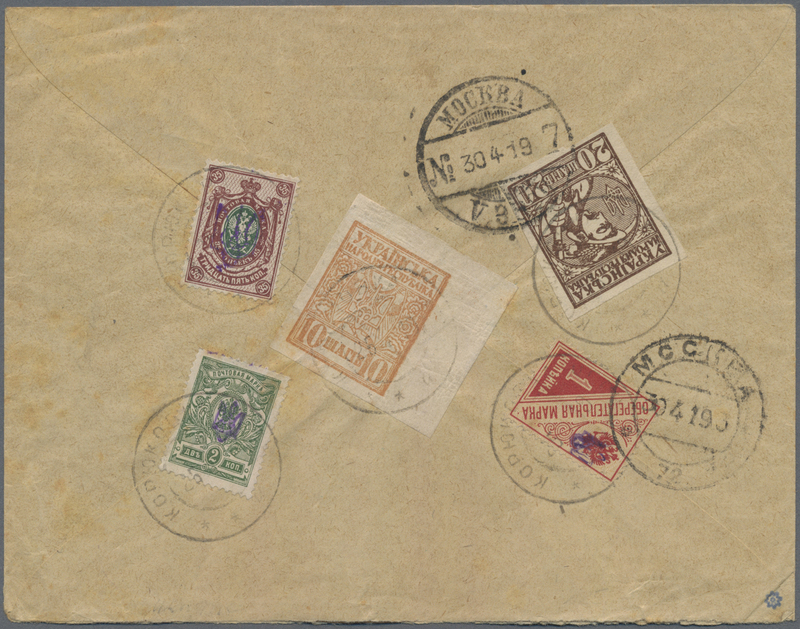 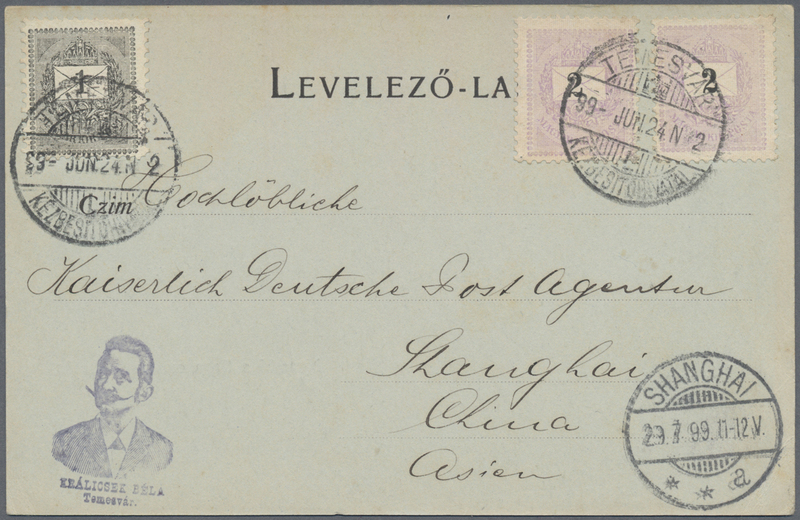 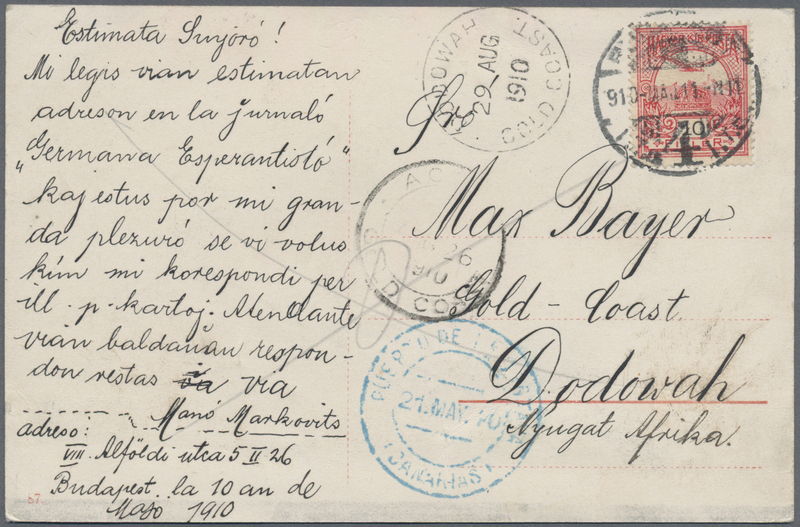 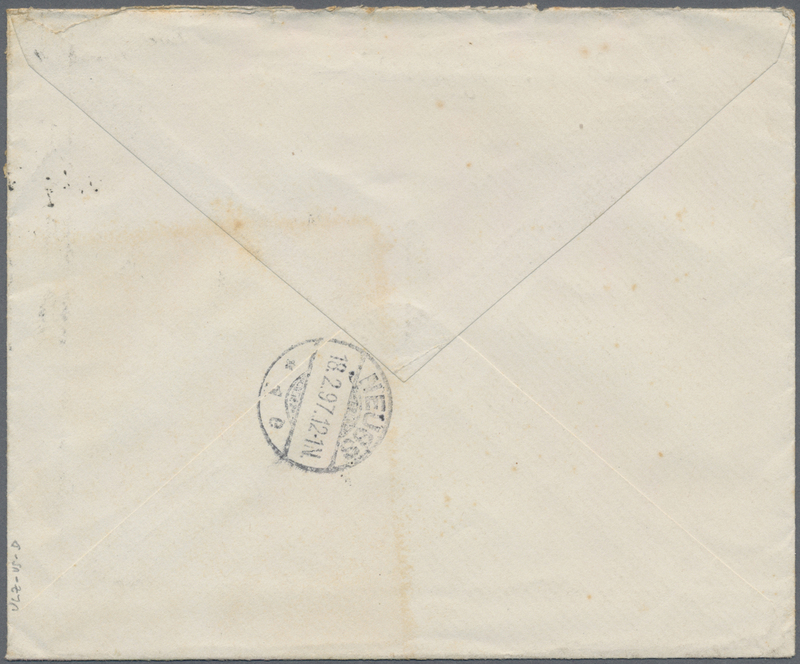 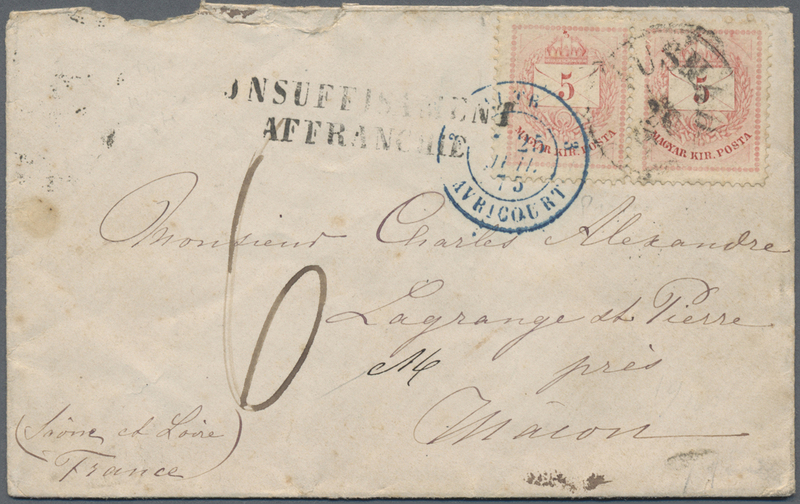 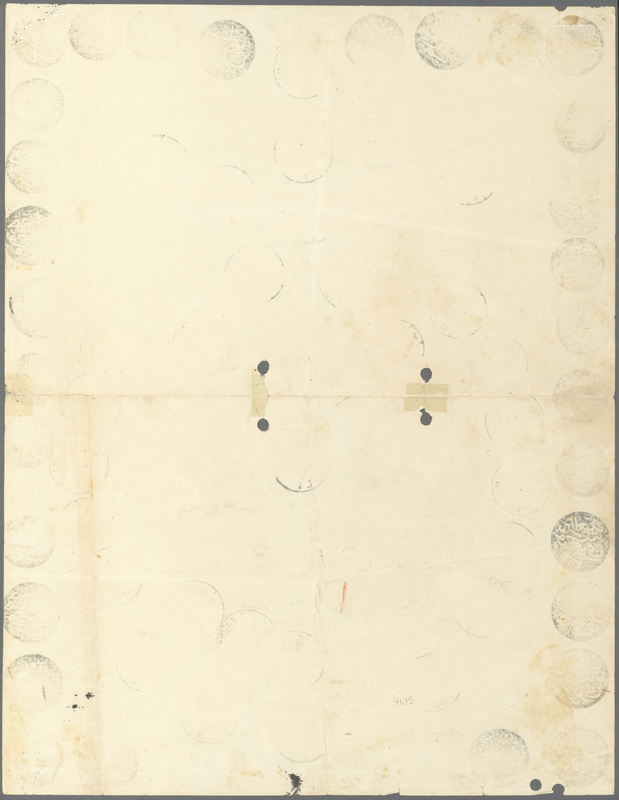 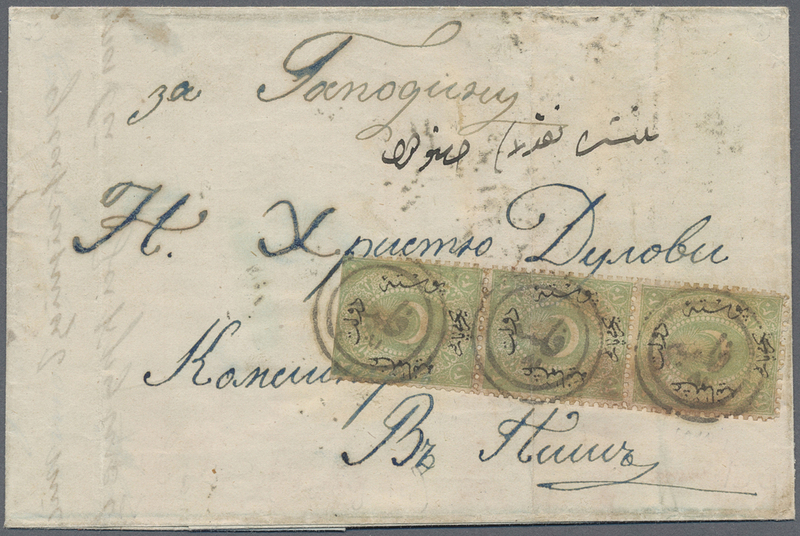 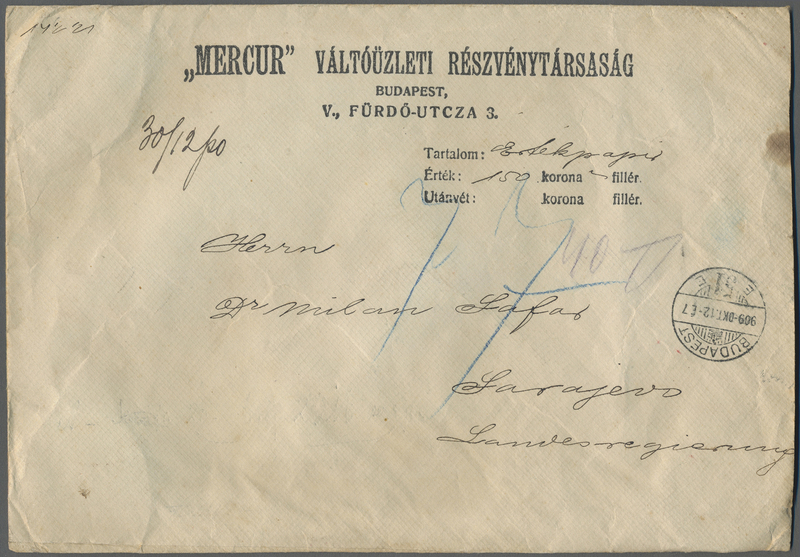 Attractive and scarce cover from Moldova resp. 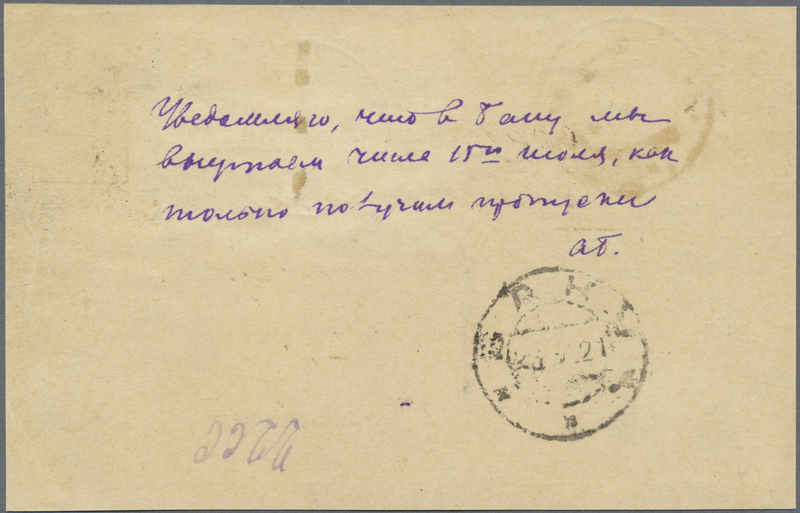 from the autonomous Transnistria territory! 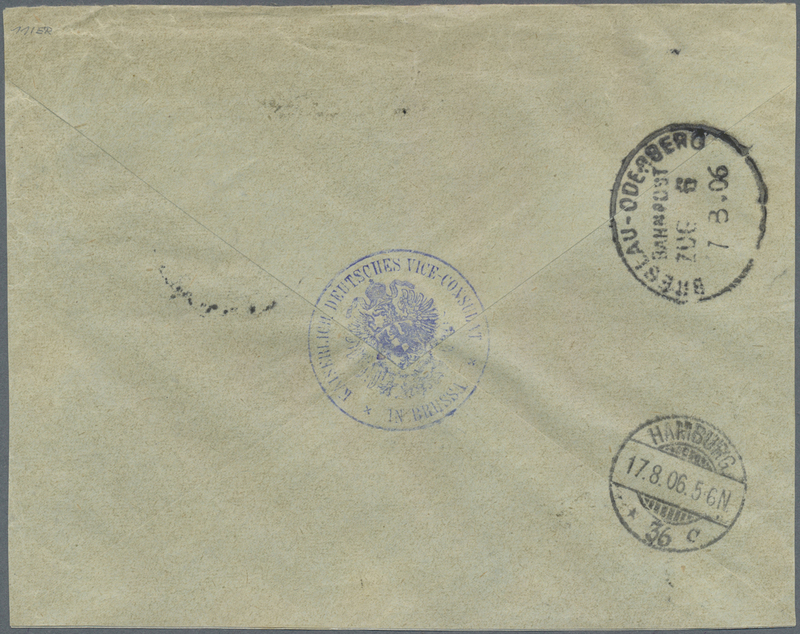 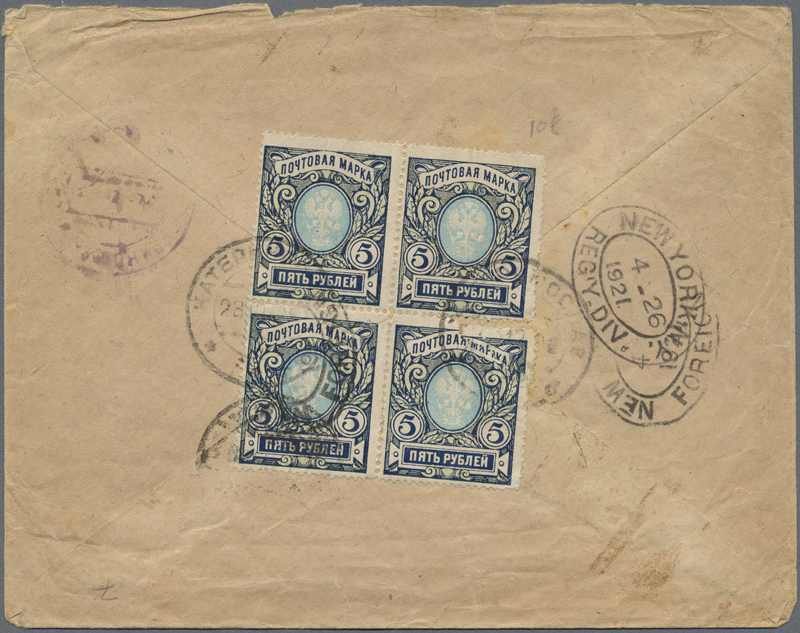 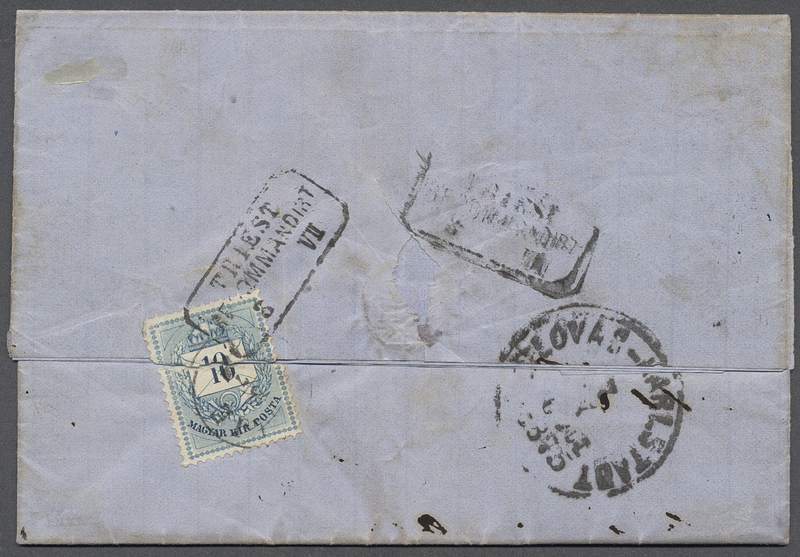 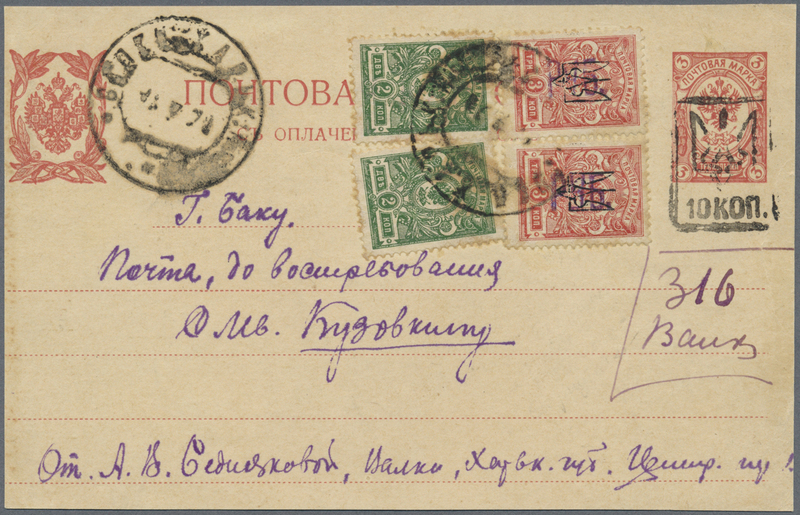 20710 Brief (cover) 1920/21, 5 R. block of four tied "YEKATERINOSLAV 28.12.20" to reverse of ?registered cover to Moscow, with "MOSKVA... TPO 15.3.21", on reverse also "NEW YORK 4-26 1921" and on front label "POST OFFICE, NEW YORK, N.Y." / Returned to sender for the reason that (Reg) / service is suspended. 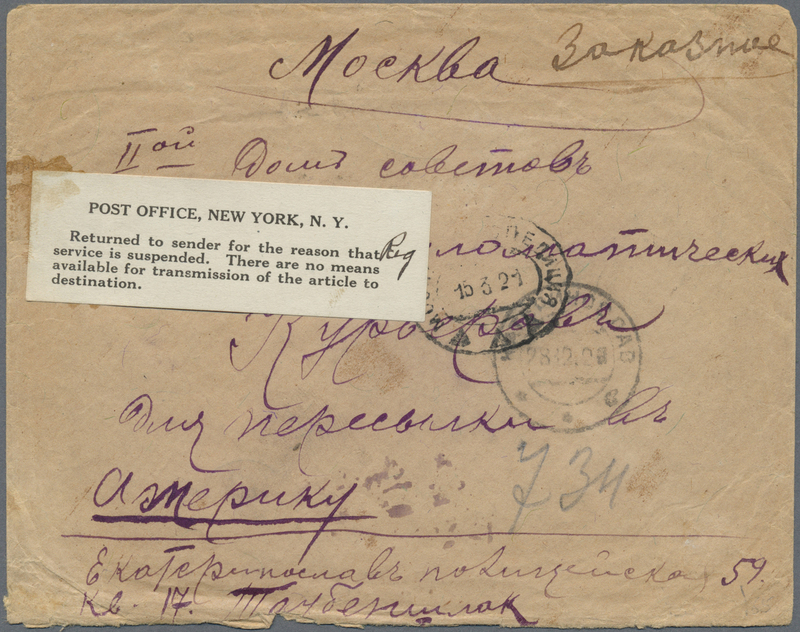 There are no means / available for transmisison of the article to / destination.". 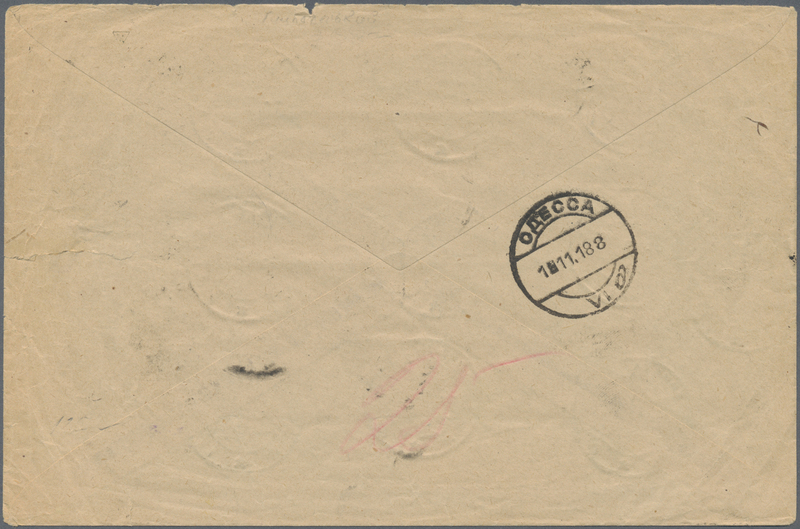 Cover traces of transport as to be expected. 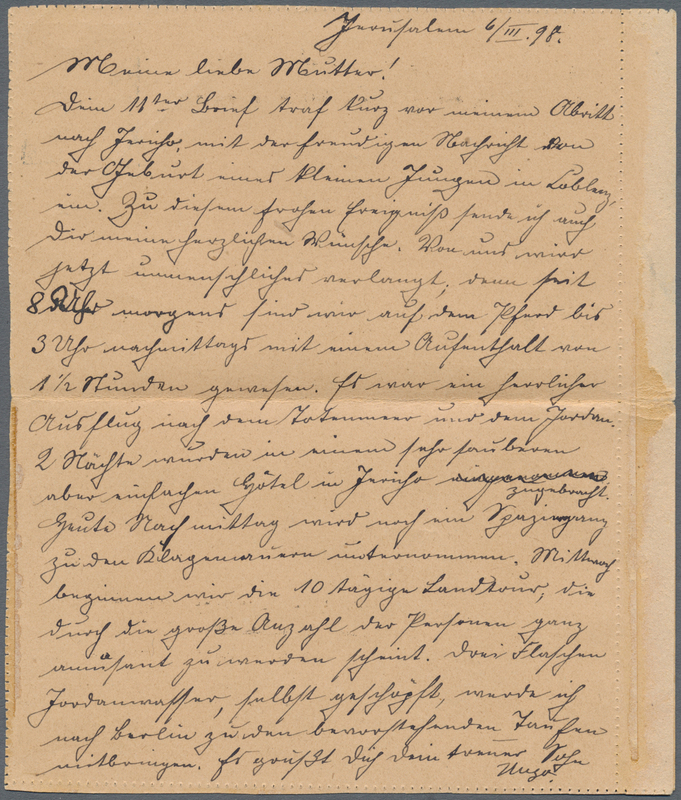 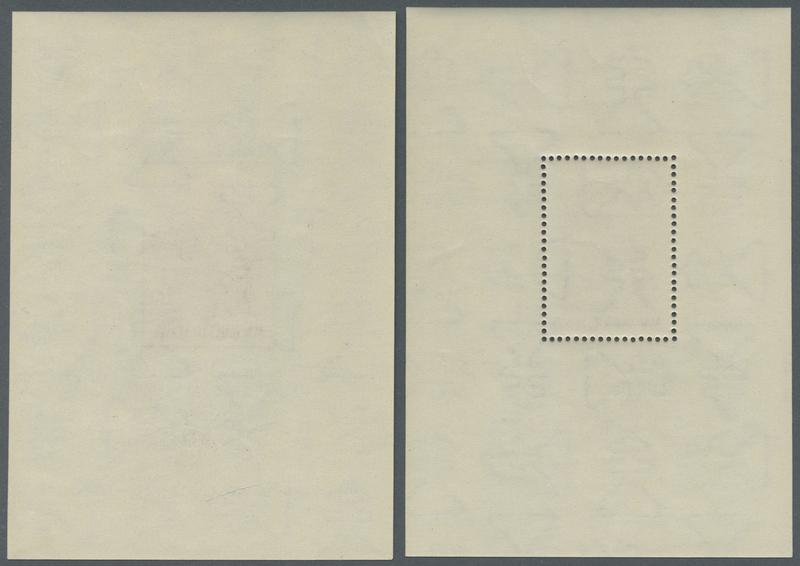 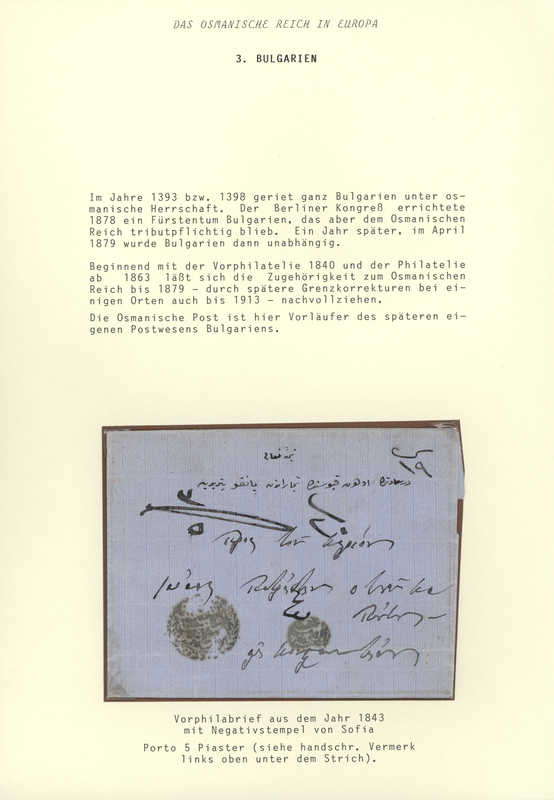 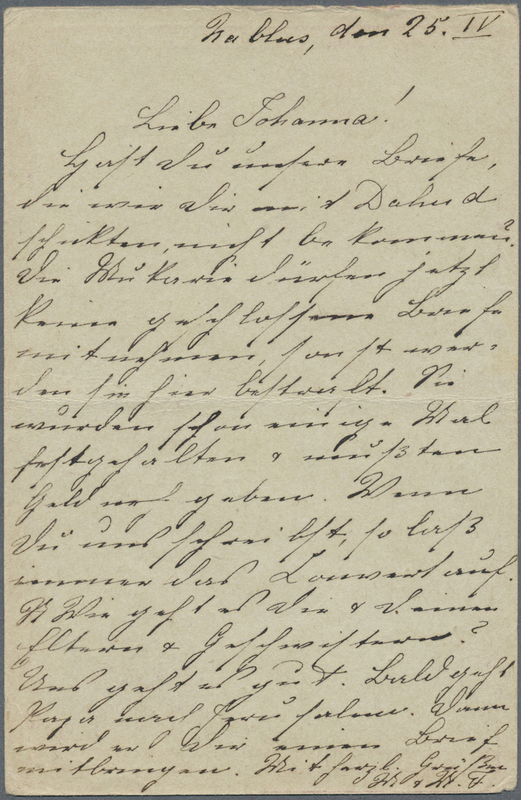 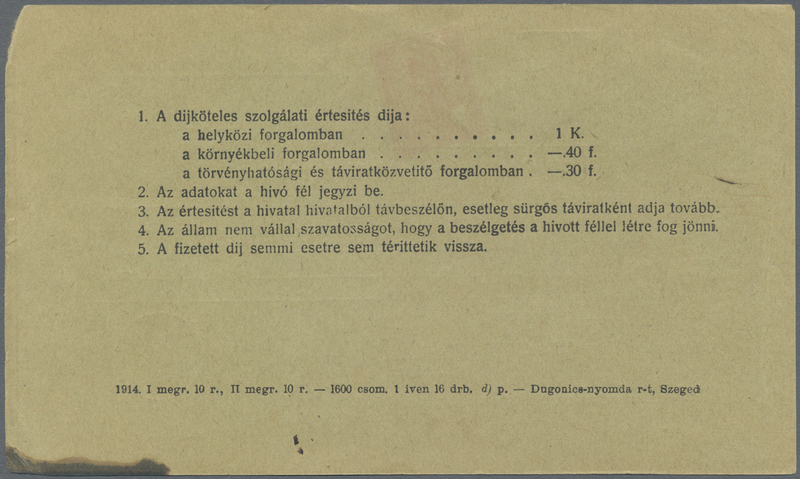 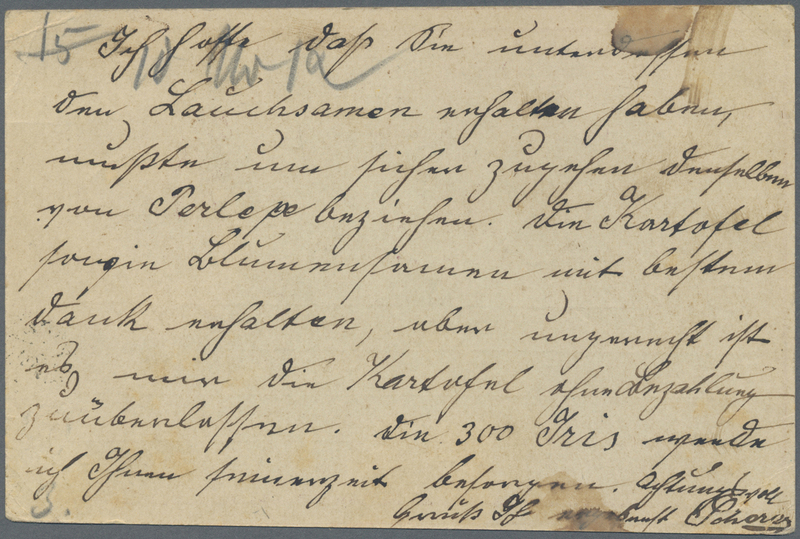 20729 ungebraucht ohne Gummi (unused without gum) (*) to 369 essay 1923, 100th birthday of Sándor Petöfi ESSAY for a prepared but unissued 10kr. 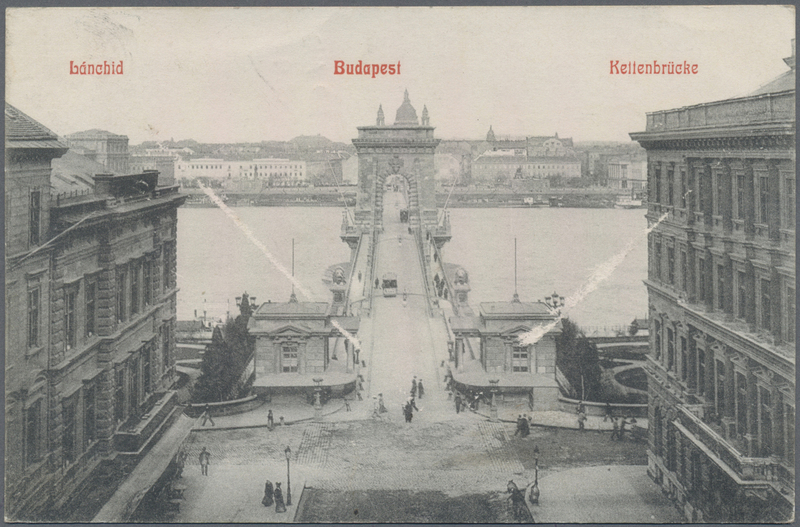 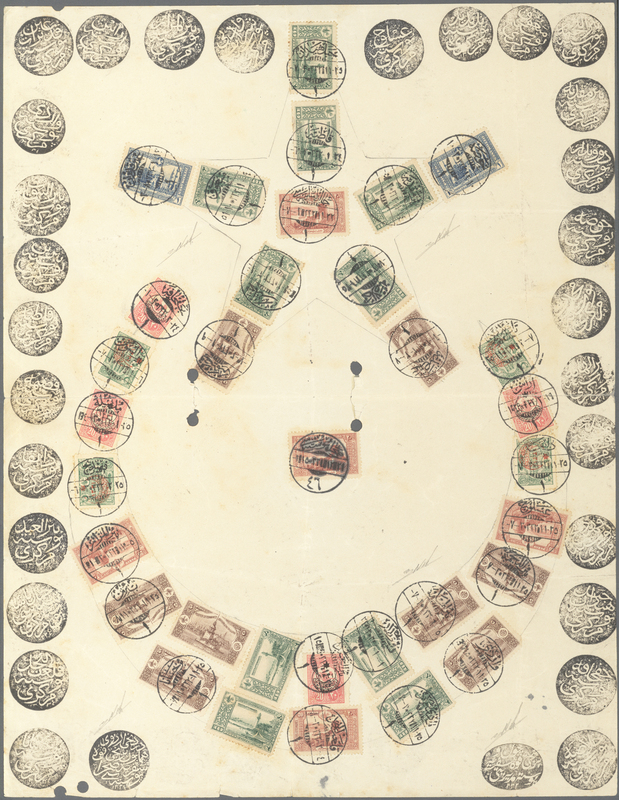 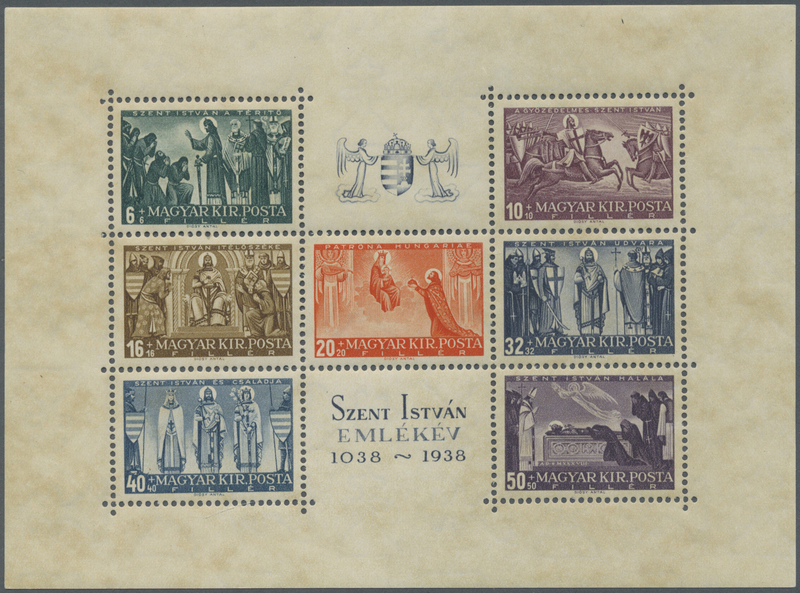 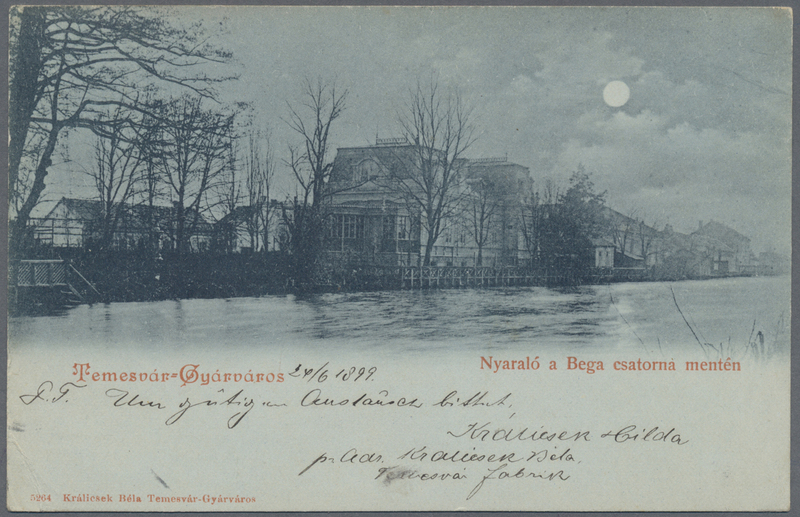 stamp showing a puszta scene with fountain and hut in three types affixed to large black carton incl. 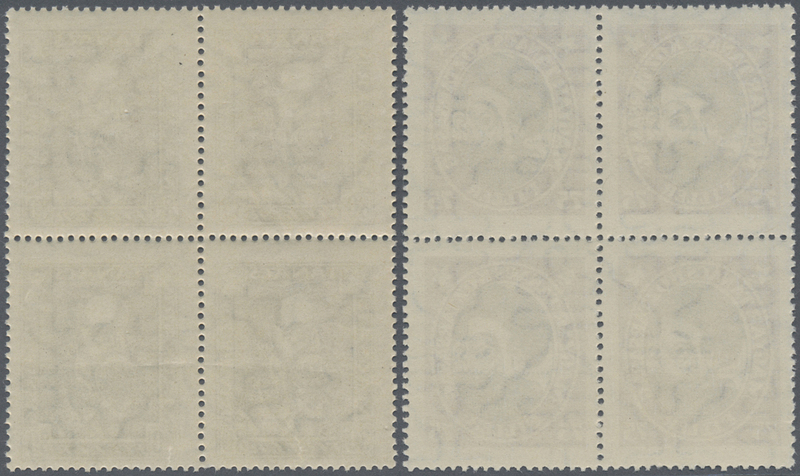 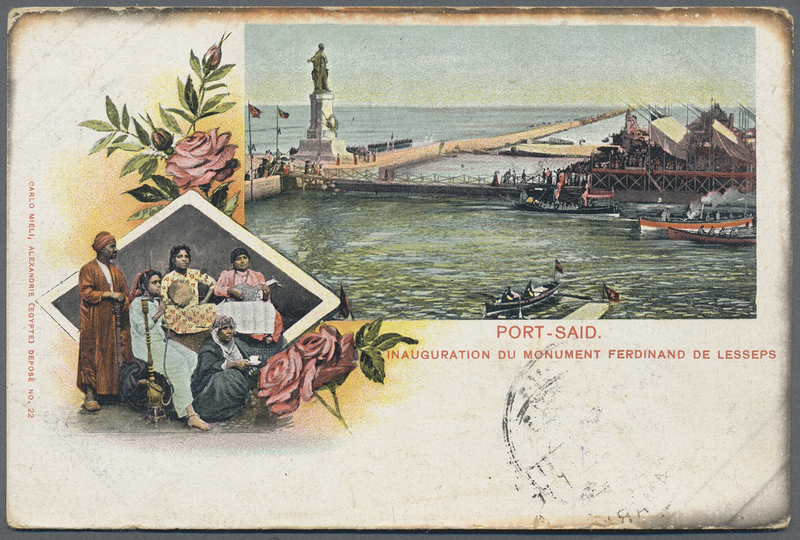 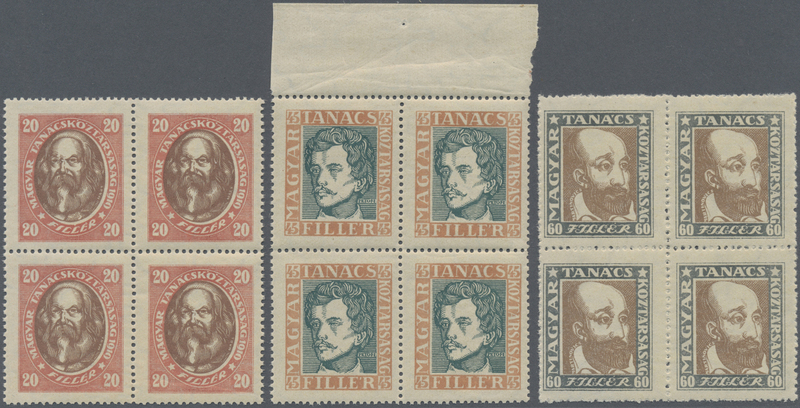 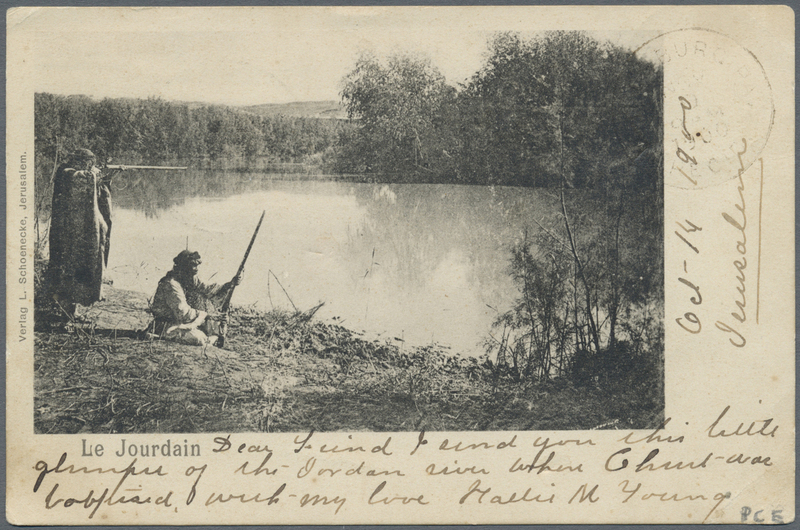 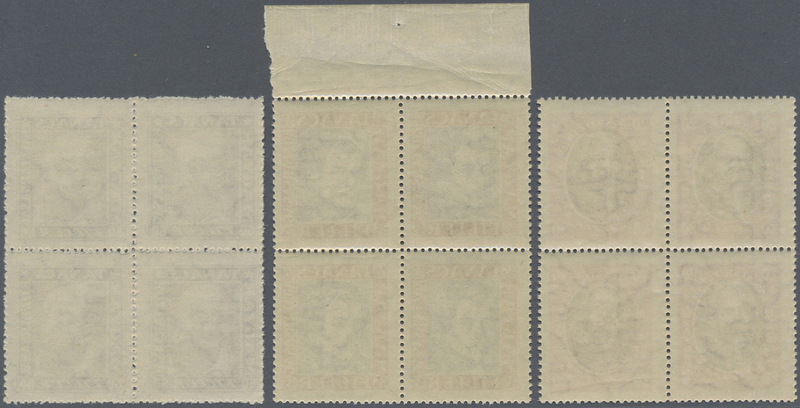 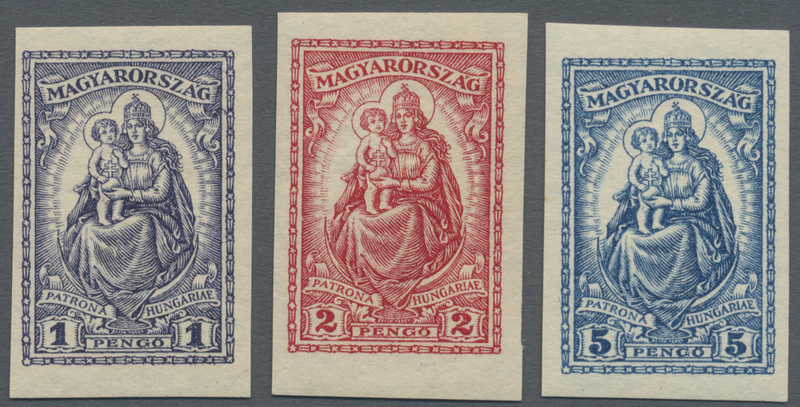 one enlarged in black and two in stamp size in silver or multicoloured, attractive and scarce! 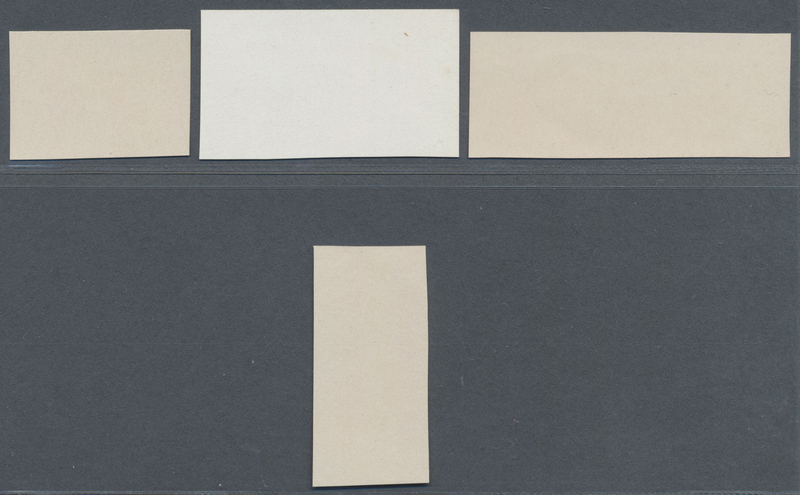 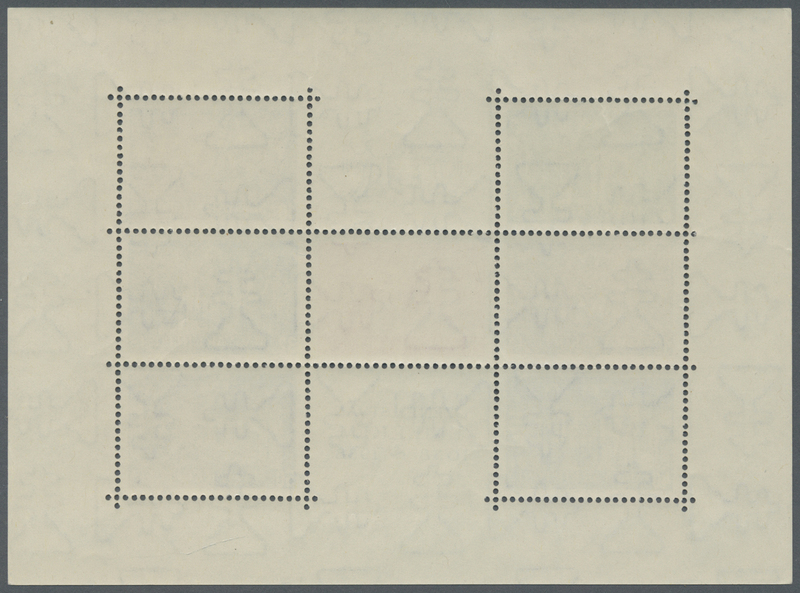 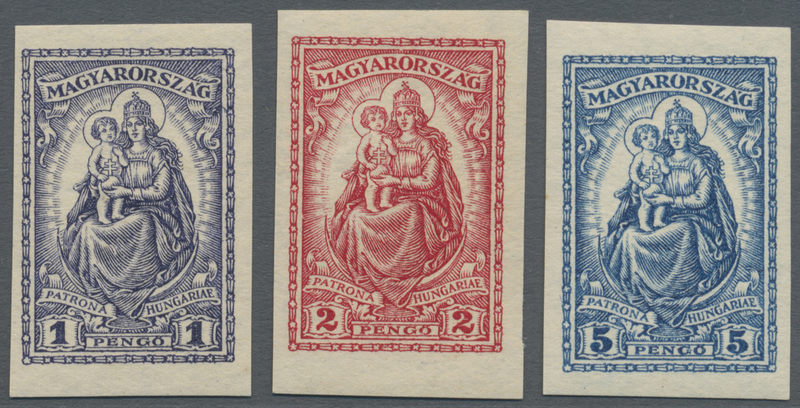 20730 ungebraucht ohne Gummi (unused without gum) (*) 1926: "30 FILLER MAGYARORSZAG" or "50 FILLER" showing the Matthias Cathedral ECKERLIN ESSAYS printed around 1926 on ungummed paper, four different colours as sample in the hope of selling Dr. Eckerlin's rotary press process for intaglio printing (developed by Herbst & Illig in Germany) to the post of Hungary. 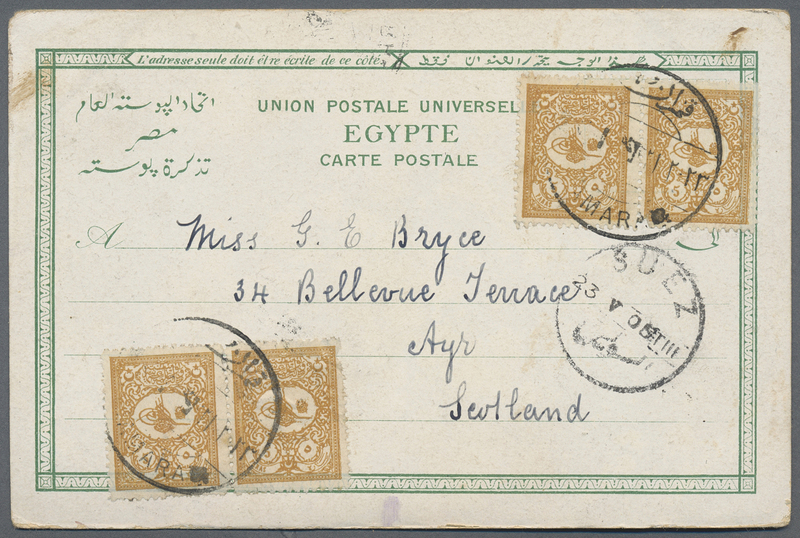 Very fine condition. 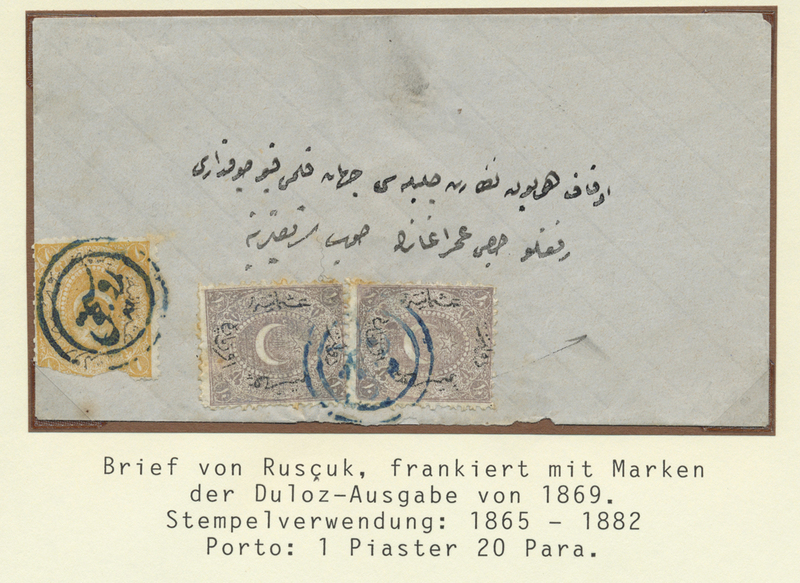 RARE SAMPLE OF THIS FAMOUS PRINTER.